Modified shipping containers provide mobile, climate-controlled work space for construction businesses. Construction companies can move their office to the job-site with minimal site preparation. A more secure and durable alternative to travel trailers, 16-gauge, corten steel keep files and computers safe. 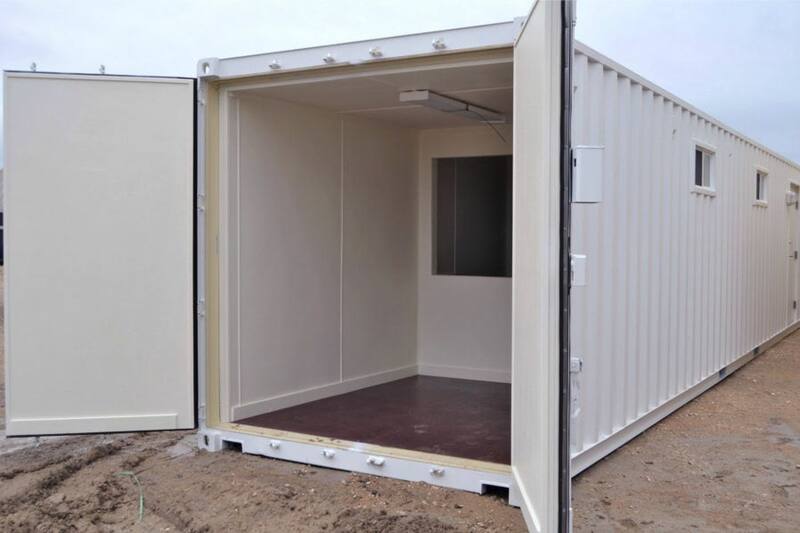 Why choose a container-based ground level office for your construction business? Safe and Secure. Steel construction and sturdy doors for superior security of personnel and property. Weather Resistance. Shipping container roofs keep rain and snow out. Durable.Shipping containers retain their value for decades. Reliable Comfort. Climate control systems keep work space comfortable. Customizable. Half-bath upgrade and other options available. Handle paperwork and host meetings in a climate-controlled office space. Part of every business—even construction—is email, paperwork, and meetings. When you need a quiet, climate-controlled work space to get administrative work done, a ground level container office is a solution. The finished and painted interiors also create a tidy work space to host visitors and business partners. 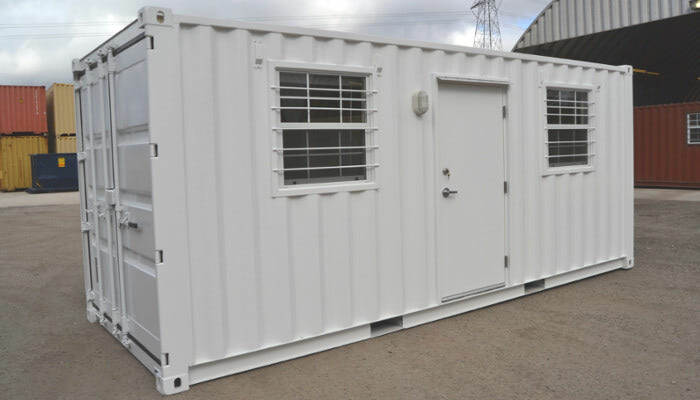 Available in 20-foot and 40-foot sizes, Falcon Structures offers several standard mobile ground level office products, as well as custom shipping container solutions. Our standard solutions include open floor plans and combination office, storage, conference room, and half bath configurations. 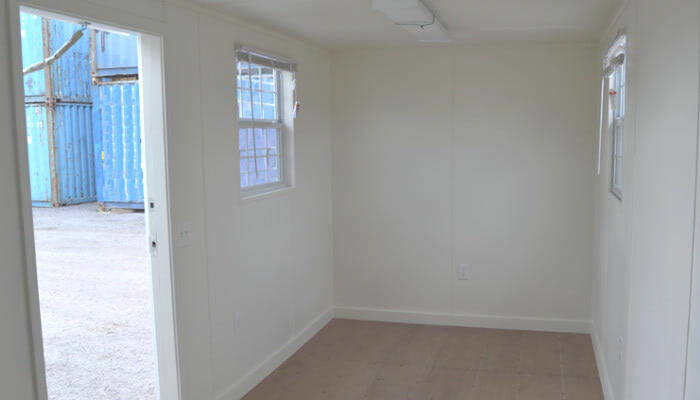 Thinking about a ground level shipping container office for your construction business? Call us at 877-704-0177 or email sales@falconstructures.com. We're happy to answer your questions.